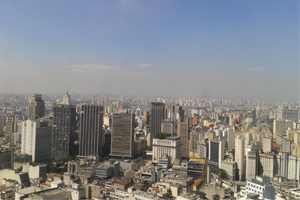 Companies in Brazil have been able to escape punishment for corruption, but that has all changed now as Leo Torresan of Amarribo Brasil, Transparency International’s partner explains. It may be that lawmakers are feeling the heat of the popular movement against corruption. This week, after stalling for more than three years, Congress finally passed a law making companies, not just individuals, liable for corruption at home and abroad. This is a major step in the fight against corruption, and one Amarribo Brasil has been lobbying hard for because it gives the courts the right to fine and blacklist companies, not just individuals if they are found guilty of corruption. It is a wake-up call for the management and shareholders of Brazilian companies and will help ensure that businesses do not bribe their way to contracts either here or overseas. In the past, it was only individuals that could be prosecuted for corruption, which saved companies from the kind of punishment that could threaten their operations. In an upcoming survey of global corruption from Transparency International, out this week, more than half of Brazilians interviewed said they thought the government was ineffective in fighting corruption. More than 80 percent, however, said they were willing to do something about corruption and more than half said they would join a demonstration. The past few weeks have shown that to be true; it is now up to the politicians to act. This new law, which aims to provide a level playing field when it comes to business, is a serious step in the right direction. Under the new regulations a company found guilty of corruption can be fined up to 20 percent of its gross revenues. It can be banned from public sector contracts (put on a black list) and prevented from taking loans from state banks, as well as other sanctions. This should make management more vigilant about how it goes about business because the stakes just got seriously higher. In 2010 Brazil introduced draft legislation to make this happen. This was a key recommendation of the OECD’s Working Group on Bribery when it reviewed Brazil’s compliance with the OECD’s Convention against Foreign Bribery, which it ratified in 2002. Such legislation is also required as part of the United Nations Convention against Corruption, which Brazil ratified in 2005. At last Brazil is catching up with other developed countries. For example, the US has had such a law since 1977, Spain in 1995 and the UK passed one in 2010. This is more than just symbolic and could have significant consequences on how business functions for Brazil. In March 2012 Transparency International’s chair Huguette Labelle met with Justice Minister Eduardo Cardosa as part of the preparations for the 15th International Anti-Corruption Conference hosted by Brazil in Brasilia last November. This issue of making companies legally liable for corruption was high on the agenda. When President Dilma Rousseff opened the conference she reiterated her government’s commitment to fighting corruption but did not commit to pushing through this legislation. As the protests in the past month have shown, Brazilians do not believe that words are enough. They are demanding actions. Holding corporate Brazil to account may not make headlines but it is big step in the right direction. We now wait for the law to be implemented as it should be.